Yesterday was my 22nd Anniversary…and my wife got me these shoes. These shoes represent the best kind of gift. They were something that I really wanted, but I had decided that I was not going to buy for myself. So I was really excited when she (quite thoughtfully) surprised me with them. In addition, these shoes represent a lot of what I believe in. 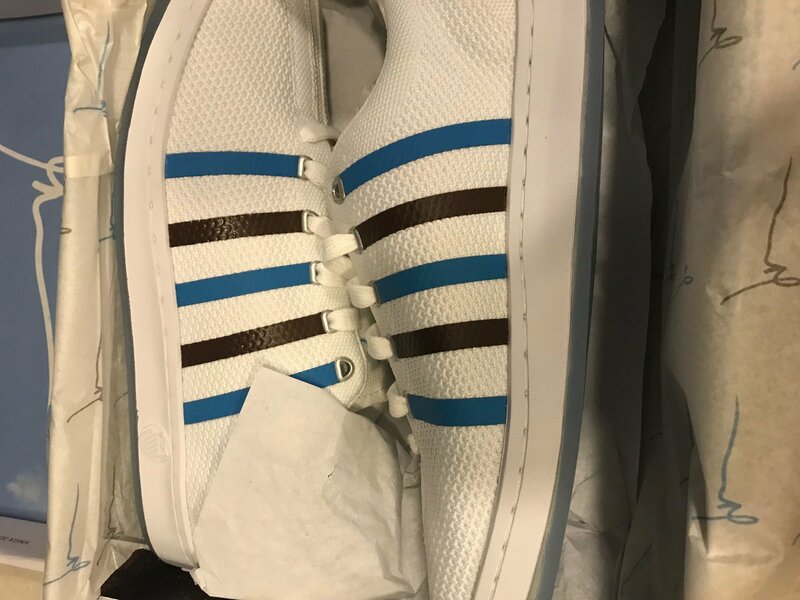 Gary Vee’s Shoes: These are the new Gary Vee 003. Gary Vaynerchuk teamed up with K-Swiss to create these shoes, designed for entrepreneurs. If you are regular reader of this blog, you have seen me mention Gary Vaynerchuk…like I did here. Gary has become legendary in the content creation and entrepreneurial world. The short story goes like this: He took over his family’s liquor store and grew it from $3 Million to $60 Million in 5 years. He did it on the back of Youtube and Twitter. Then he left the family business to create VaynerMedia where they work as a digital ad agency with huge businesses to do advertising on line. So what does this mean to you? Why should you care about my shoes? I am glad you asked. 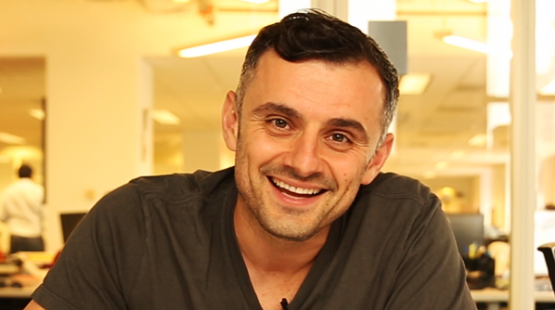 Gary Vaynerchuk is sold wine…not fashion. Then he left that business and created a Digital Media Agency. He did not create a shoe company. So, why then, is he able to work with K-Swiss and create his own shoe line? Maybe more importantly, how is he able to sell out of them? Why are people buying them, then re-selling them on E-Bay? (Seriously…it’s happening). He is doing it because he has a large and passionate audience. He has a platform. He is an influencer. Over time, Gary has created content and added value…through content. (His Youtube channel is here). Day after day. Year after year. He has taken the time to “Give First” (I talk about this concept here) over and over again. So that when he decides to “ask” people are lined up to buy. So when we talk about creating value online, this is why. It’s about creating value so that you can create an audience. If you have a passionate audience, then you get to decide what to do next. This sort of thing does not happen overnight. It’s hard work. It may seem unreasonable. But in my estimation, it’s worth it. Now for those of us that are willing to grind, it’s time to get back after it. For those that are not, enjoy the view. Oh…and thanks to my wife for awesome anniversary gift. She really is the best. Speaking of value, we are trying to create it for you every day. If you want to make sure you never miss an update, sign up here for our VIP Newsletter. We deliver this value to you each week via email.